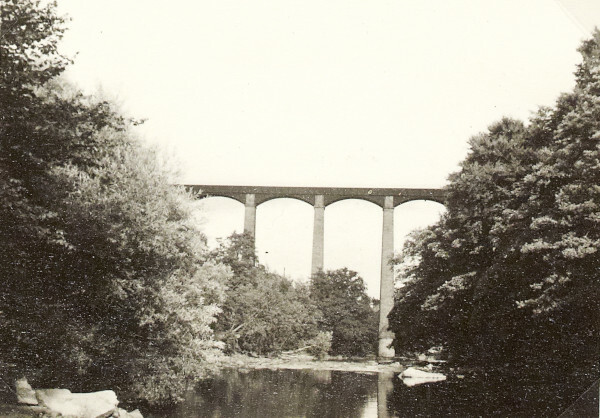 Black and white photograph of Pontcysyllte Aqueduct. Taken from on the water looking towards the middle of the Aqueduct which is blocked by trees on both sides of the photograph. This photograph is on page 78 of the C N Hadlow photograph album.